Lead with purpose. Leave a legacy. What is the Senior Legacy campaign? The Senior Legacy campaign gives seniors who appreciate how private gifts impacted their student experience the chance to ensure that future students have access to the same exceptional opportunities. 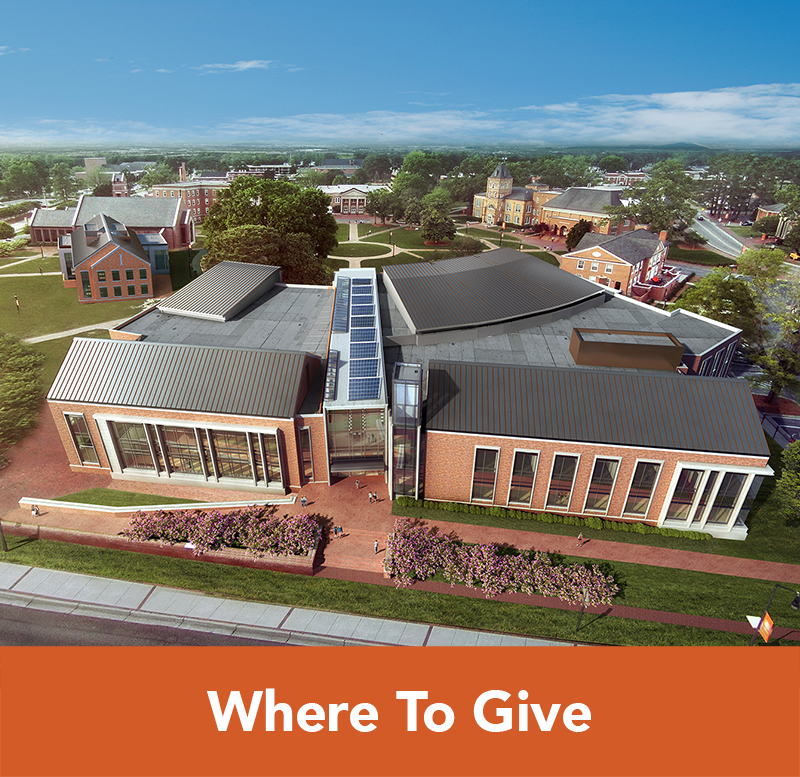 The Student Philanthropy Committee invites graduating seniors to show their appreciation by giving a gift to the part of Campbell that has meant the most to them. person Who All main campus graduating seniors are invited to participate. event When Feb. 6-April 5 is the official campaign, but gifts are accepted throughout the school year! I already pay tuition, so why should I give more? Did you know that your tuition only covers a portion of your college experience? Although this is a vital source of funding for the university to be able to carry out operations, think about the parts of your education and Campbell University that are funded by the gifts of donors: scholarships, buildings, athletics, academic programs, and much more! Giving a special gift to the university represents your dedication to paving the way for future generations of Campbell students. Will my contribution even make a difference? Absolutely! Philanthropy and giving are factors that publications like the U.S. News & World Report use to rank colleges and universities. As Campbell climbs in the rankings, the more esteemed we become, and the value of your degree increases. While we encourage you to consider giving $20.19, we gladly accept gifts of any size! Your participation and support is appreciated, so make a gift that is comfortable to you. 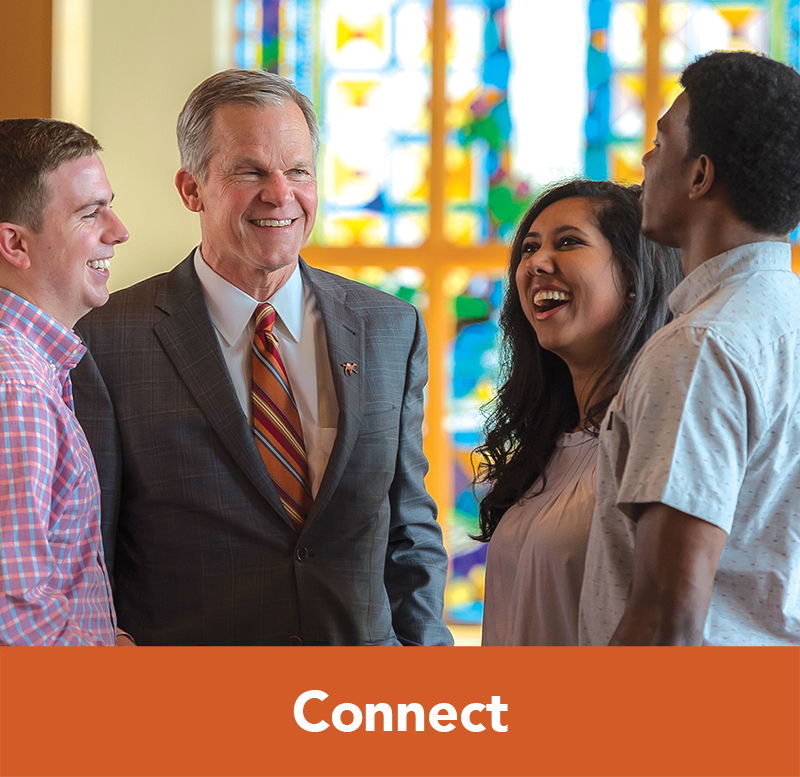 Seniors who give $20.19 or more will receive an invitation to the Senior Reception with Dr. Creed, where you will have the opportunity to celebrate your years as a Campbell student and be recognized for your generous donation. Can I split my gift up into installments? You can! Through the Senior Legacy giving form, you can set up a recurring gift, such as $5 per month, $20.19 per year, etc. Pick a payment plan that works best for you! A recurring gift of $7 per month will secure you an invitation to the Senior Reception with Dr. Creed. 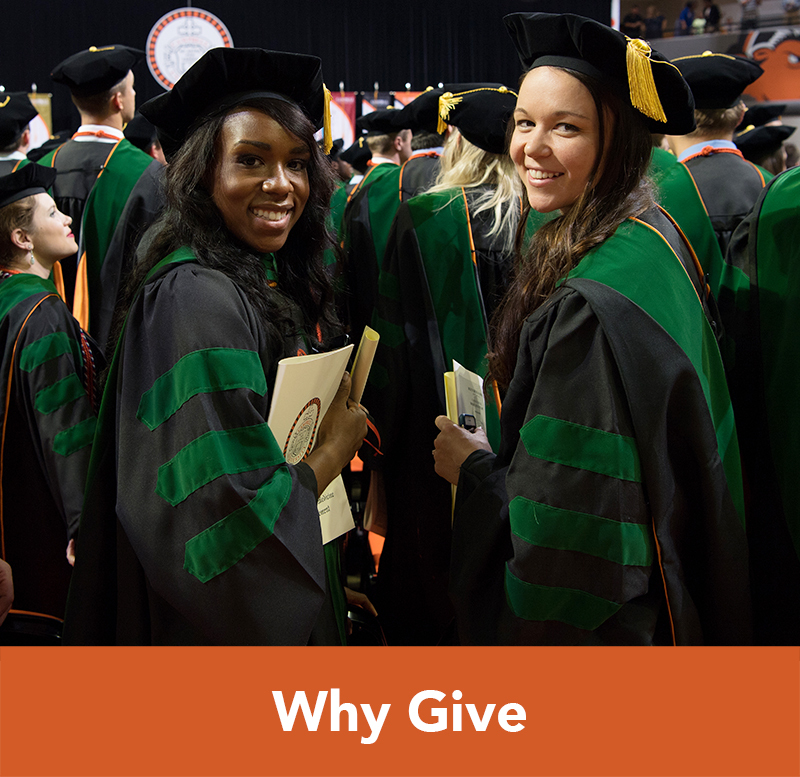 We want each student to be able to give back to the area of Campbell they care most about. Therefore, you can designate your gift to one of almost 2,000 different funds. These funds include academic departments, scholarships, student programs, and more. Choose the area of Campbell that has meant the most to you! It’s easy! You can give via our secure giving form. You can choose to give your Senior Legacy gift all at once, or break it down into installments. restaurant Senior Reception with Dr. Creed Seniors who give at least $20.19 or make a recurring gift of at least $7 to the Campbell fund of their choice will receive a formal invitation to the first annual Senior Reception where students will be honored for completing their degree and making a gift. 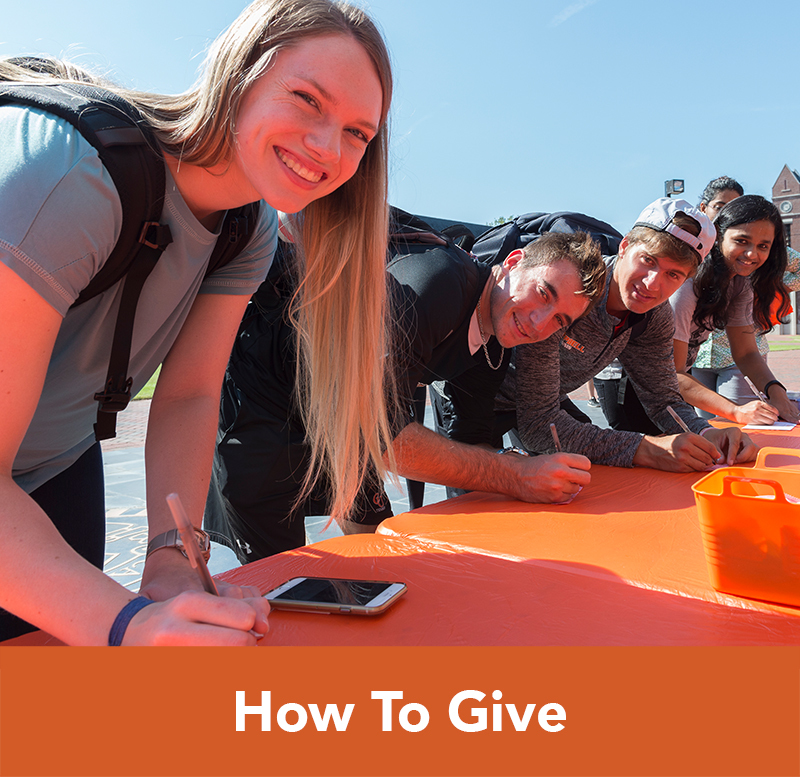 favorite Give in honor of someone Make a gift of $20.19 or more in honor of anyone who impacted your Campbell experience and the Student Philanthropy Committee will send a letter to the person, letting them know you made a gift in his/her honor. You can make more than one donation of $20.19 if you have more than one person you would like to honor. star Donor Honor Roll Seniors who give a gift of any amount will be recognized in the Senior Legacy Honor Roll posted on the Campaign website and in the next issue of the Campbell magazine. local_activity Raffle Seniors who give a gift of any amount will be entered into weekly raffles for the chance to win items such as exclusive basketball tickets and reserved graduation parking.